Who would win in a fight: Darkseid or M. Bison? In my opinion Darkseid is the most evil because his goal is to conquer the whole universe. Bison on other hand seems to just want take over the earth. I think in a true fight, Darkseid would kill Bison with his "Omega Beams". No way Bison could compete with that. Here is a video showing a fight in Mugen. 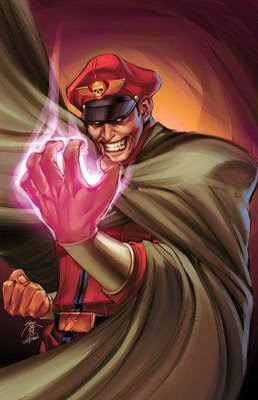 First of all bison is no longer a being. He is an entity. It is very difficult to kill someone who constantly transfers himself into another body once his old one has been destroyed. Bison would just keep coming back.